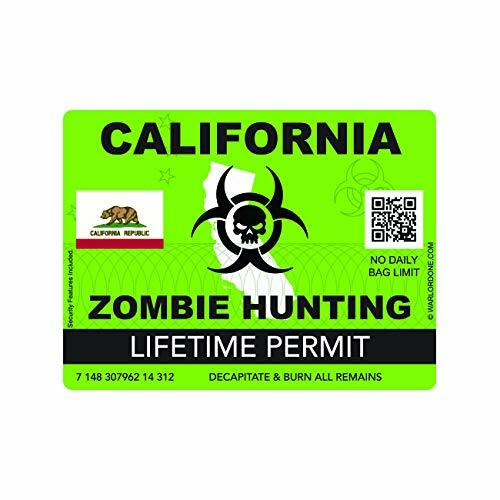 New York Zombie Hunting permit. This bumper sticker is printed on Weather resistant PVC Bumper Sticker Vinyl with UV resistant ink. Fade free for years. NOTE: We have currently switched to a fade resistant vinyl printer (In Dec. 2011) We will replace any stickers that have faded free of charge purchased prior to December 2011. Please contact us for a replacement if your stickers have faded.